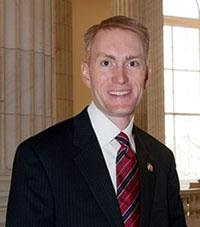 U.S. Representative James Lankford today sent an email with the latest information and his perspective on the fiscal cliff. "As you may have heard, the House will return to session this Sunday, December 30th, to respond to any potential Senate action on bills the House passed in May and August of 2012 to avoid the tax increases and across-the-board cuts of the 'fiscal cliff,'” Lankford wrote. 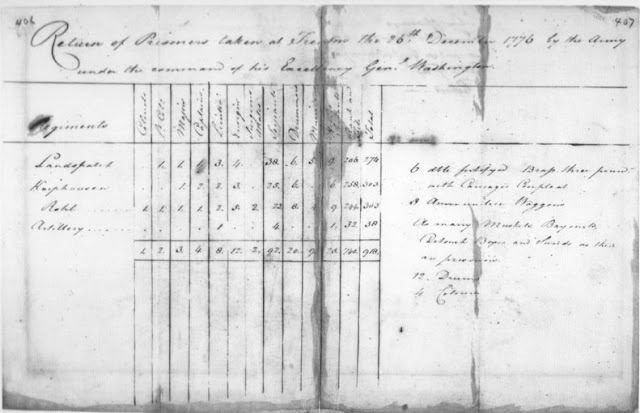 On the morning of December 26, 1776, Continental troops commanded by General George Washington launched a surprise attack on Hessisan mercenaries barracked at Trenton, New Jersey, scoring an important inspirational victory and capturing 918 prisoners, as detailed on this "Return of Prisoners." Lt. Governor Todd Lamb, Senate President Pro Tempore Brian Bingman and House Speaker-elect T.W. Shannon Thursday announced the formation of the Oklahoma Commission on School Security. Senate Democratic Leader Sean Burrage and House Democratic Leader Scott Inman have agreed to work with Republican Leadership to form a non-partisan commission. The purpose of the Oklahoma Commission on School Security will be to study a number of school security factors and to provide suggestions and possible legislative recommendations for the 2013 legislative session. Some initial issues to be discussed within the commission’s study will include current school safety measures, local control and local empowerment and mental health. Lt. 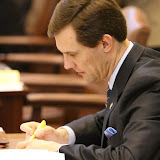 Governor Lamb began the initial steps in increasing school security when he was in the Oklahoma State Senate and the principal author of the Oklahoma School Security Act. The act, Senate Bill 1941, required schools to practice lockdowns two times a year. The measure additionally defined electronic communication as a form of bullying. The Oklahoma School Security Act also created a place on regional Homeland Security Advisory boards for school administrators. As a former United States Secret Service Agent, Lt. Governor Lamb will bring his law enforcement experience and serve as chair of the commission, working with legislative leaders to appoint commission members in the coming weeks. Various backgrounds will be represented on the commission to include homeland security, local police, local school personnel, the Oklahoma State Bureau of Investigation and mental health. Applications are now available for Oklahoma fifth-grade teachers interested in receiving a fellowship to attend the 2013 Colonial Williamsburg Teacher Institute June 10 through 16 in the restored capital city of 18th-century Virginia. The Oklahoma Foundation for Excellence coordinates the selection of Oklahoma teachers to participate in the renowned teacher institute. Applications are available on the Foundation’s website at www.ofe.org. Completed applications must be postmarked by March 1, 2013. Each fellowship recipient will receive an all-expense paid trip to Williamsburg, as well as a $300 stipend for classroom materials. 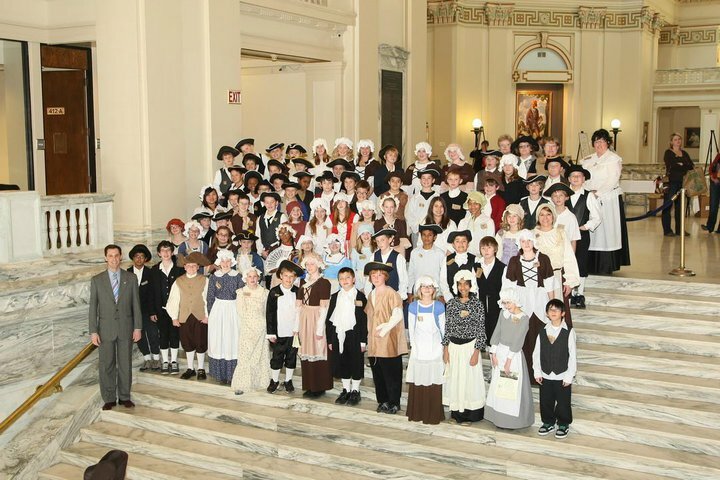 While at Colonial Williamsburg — the world’s largest living history museum — Oklahoma teachers will have the opportunity to meet character interpreters of 18th-century people and be immersed in early American history through hands-on activities and reenactments of historic events. Participants will visit nearby Jamestown, the site of the first permanent English colony in America, and spend a day at Yorktown visiting the battlefields where the Continental Army forced the British to surrender. Participants also will meet daily with a peer facilitator to discuss interactive teaching techniques and develop creative lesson plans based on their experiences. 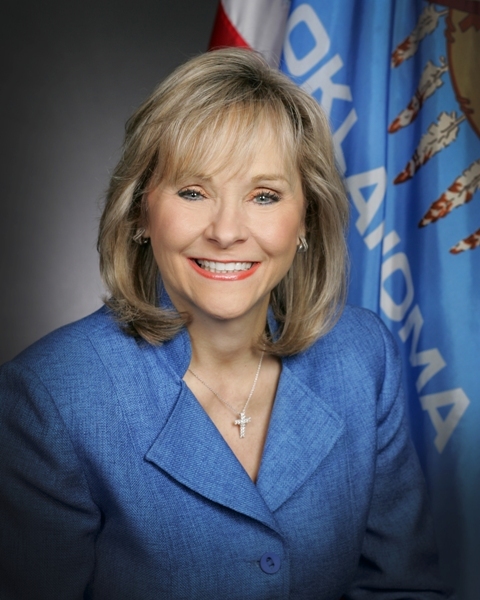 OKLAHOMA CITY – In the wake of the tragic shootings in Newtown, Connecticut, Governor Mary Fallin is encouraging school officials and law enforcement officers to take advantage of security training seminars offered by the Oklahoma Office of Homeland Security. At the seminars, Oklahoma homeland security officials cover a wide variety of topics with school officials, including the importance of developing, updating and exercising an emergency response plan. Additionally, the training includes instruction for school officials on how to conduct a security survey to help identify and correct any potential security gaps. The two-day seminars are provided at no cost and held at various locations around the state. Local law enforcement officials are invited to attend with school officials in order to help coordinate in the event of an emergency. In the last three years, the Oklahoma Office of Homeland Security has trained approximately 400 school officials representing more than 150 school districts across the state. Security seminars will be held again in 2013. To sign-up, school officials should contact the Oklahoma Office of Homeland Security at (405) 425-7296 or through the agency’s Web site at www.ok.gov/homeland. “The seminars we offer have helped school officials and law enforcement officers develop policies that maximize school safety. I encourage every school to work with us to evaluate their security protocols and emergency response policies to see how we can create a safer environment for our children,” said Kim Edd Carter, director of the Oklahoma Office of Homeland Security. Additionally, the Oklahoma Office of Homeland Security and the Oklahoma Council for Law Enforcement Education and Training (CLEET) have partnered to provide law enforcement officers rapid response training to be utilized in active shooter situations that might occur in schools, theaters, shopping malls, or even churches. “The goal of this training is to standardize the response efforts across all law enforcement agencies, so that if officers from different departments respond to the same incident, they all know how to quickly come together as a team and end the violence as soon as possible,” Carter said. Law enforcement agencies wanting to provide the Advanced Law Enforcement Rapid Response Training (ALERRT) courses to their officers should contact CLEET at (405) 239-5100 or through the agency’s Web site at www.ok.gov/cleet. 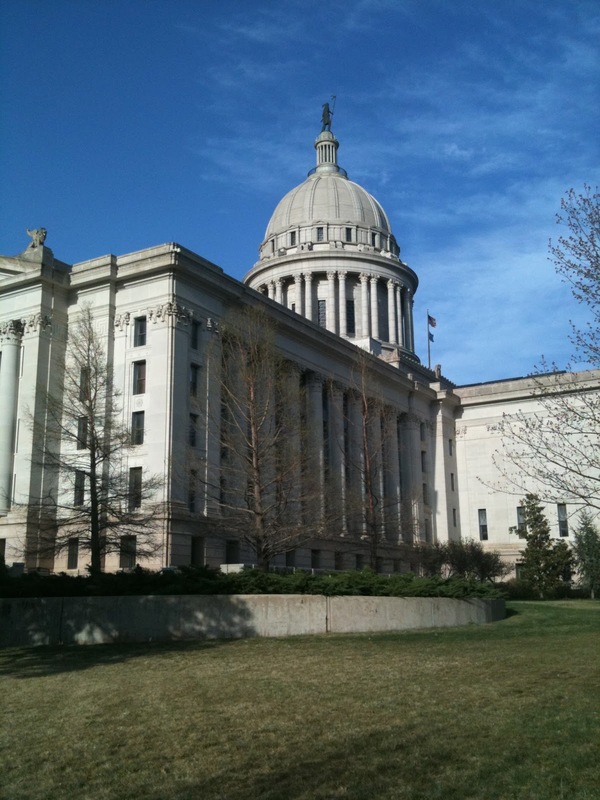 OKLAHOMA CITY – The House Democratic Leader yesterday announced the final leadership positions within the caucus for the 2013-2014 legislative sessions. Last week Leader Scott Inman of Del City named Ben Sherrer of Chouteau the Democratic Floor Leader, and this morning he unveiled the assistant leadership team who will work with Floor Leader Sherrer to advance democratic ideals on policy issues in the House chamber. 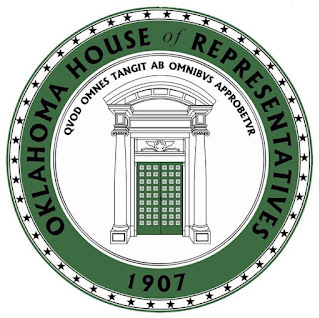 Appointed as Assistant Democratic Floor Leaders are Steve Kouplen of Beggs, Jeannie McDaniel of Tulsa, Brian Renegar of McAlester, Wade Rousselot of Wagoner, Mike Shelton of Oklahoma City and Emily Virgin of Norman. Mike Brown of Tahlequah was re-appointed to the position of Democratic Appropriations and Budget Advisor. “These are all critical appointments that will strengthen our caucus going forward, and both Floor Leader Sherrer and I are excited to work with such a dynamic, intelligent and committed group of public servants in the coming session,” said Leader Inman. OKLAHOMA CITY - House Democratic Leader Scott Inman today announced his leadership team appointments for the 54th Legislature. “I am incredibly proud to be surrounded by such a dynamic and energetic leadership team, and I know moving forward that they will each work tirelessly to champion our democratic ideals on the House floor,” said Leader Inman, D-Del City. 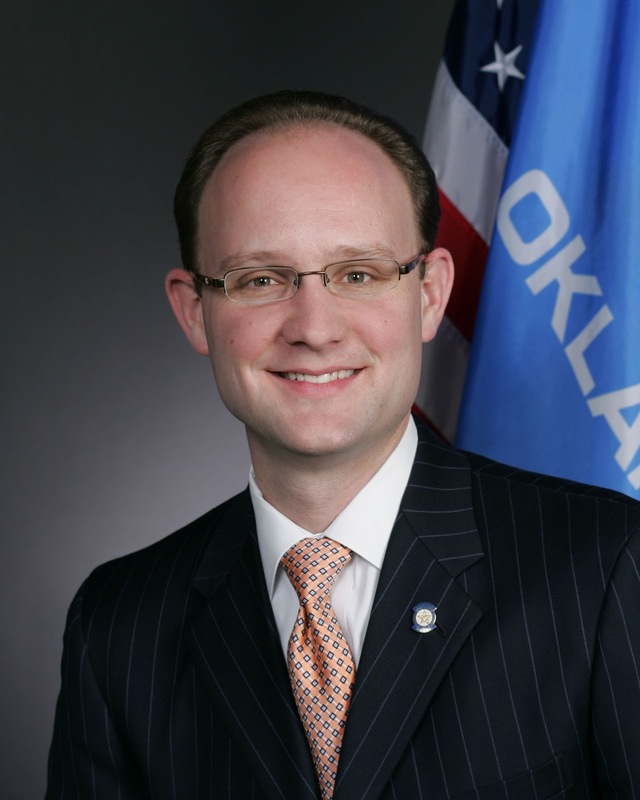 OKLAHOMA CITY – House Speaker-elect T.W. Shannon today announced committee chairs and vice chairs for standing House committees and appropriation subcommittees. The Senate Democratic Caucus announced their leadership team for the 54th Legislature Monday. Senator Sean Burrage will once again serve as Democratic Leader. Burrage will be officially re-elected to his leadership position on Tuesday, January 8 when the Senate convenes for its Organizational Day. OKLAHOMA CITY – Oklahoma Secretary of State Glenn Coffee today announced that he will be stepping down to pursue opportunities in the private sector. Coffee has held his current cabinet level position in Governor Mary Fallin’s administration since January 2011. Prior to serving as secretary of state, Coffee was the president pro tempore of the Oklahoma State Senate. Coffee will step down no later than Jan. 31, 2013. “Serving the state of Oklahoma has been my dream since I was a small boy,” Coffee said. “Being able to serve on such a high level, first as senate president pro tem and then as secretary of state, is truly a dream come true." Fallin said Coffee brought a wealth of experience to the state Capitol. 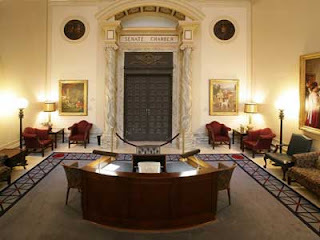 The office of the secretary of state serves as a registry of Oklahoma’s official documents, filing and certifying executive orders, appointments and proclamations as well as publishing new statutes. In addition to his official duties as the head of that agency, Coffee also served as Fallin’s lead negotiator on budget issues and issues related to Oklahoma water rights. Secretary of Finance Preston Doerflinger will assume Coffee’s responsibilities as Fallin’s lead budget negotiator. The Fallin administration plans to retain Coffee as an outside consultant on water issues, although details of that arrangement have not yet been finalized. OKLAHOMA CITY –State Rep. Aaron Stiles this evening became the final member to be sworn in by the Oklahoma House of Representatives for the upcoming Oklahoma Legislature. The swearing in came shortly after a drawn out recount and legal battle that stalled certification of the election for weeks. "I'm just glad to be putting this whole thing behind us, and I'm ready to continue my service to the people of House District 45," said Stiles, R-Norman. "I am proud and honored to be representing the people of my district. I will spend these next two years the same way I spent the first two: putting politics aside in order to get things done for District 45 and the state of Oklahoma." After a recount showed Stiles the winner by 16 votes, his challenger filed a number of petitions claiming "irregularities" in the election proceedings. However, the district court in Norman sided with Stiles, clearing the way for the election results to be certified. Immediately after the court ruling, the Cleveland County Election Board certified the results and transmitted them to the State Election Board, which then certified the results and created an official certificate of election. With the certification complete and the certificate of election in hand, the Chief Clerk of the House then was able to swear in Rep. Stiles. "It has been a very hectic month," said Stiles. "Now that this is finally done, I'm looking forward to getting back to work and serving my constituents. That's the whole reason I ran for office to begin with." Stiles said he will immediately begin working on getting legislation filed for the upcoming session, along with other official duties to prepare for next session. 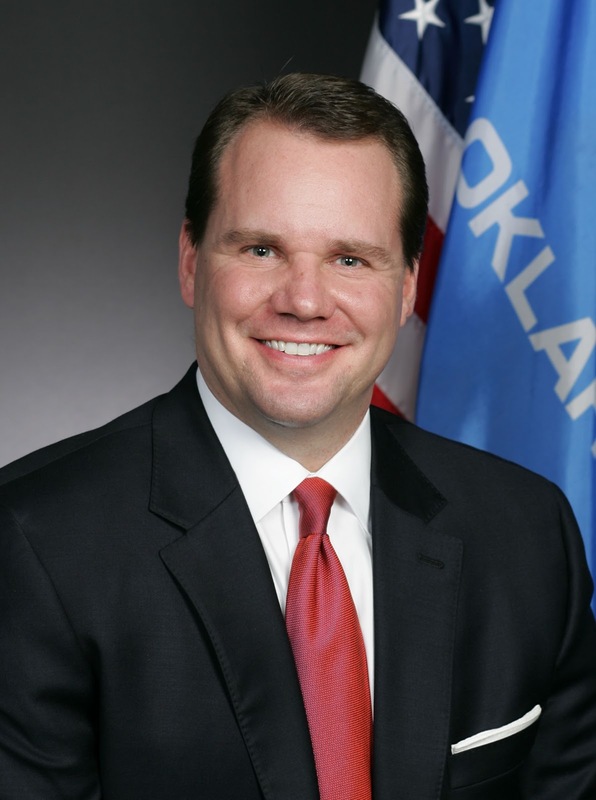 OKLAHOMA CITY – Incoming Speaker of the House T.W. Shannon announced the first round of appointments to powerful leadership posts today, tapping a diverse cross-section of the majority Republican Caucus. "I have worked with these members for years as I served in the legislature, and now it is my honor to serve with them as leaders of this great body," said Speaker-elect Shannon, R-Lawton. "Each of them brings different talents, experiences and perspectives to our leadership team, and they will serve our colleagues well in their new positions." 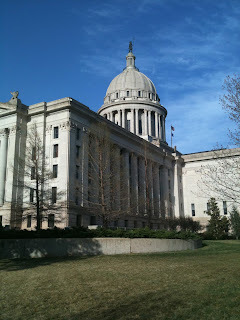 Shannon chose Rep. Fred Jordan, R-Tulsa, and Rep. Dennis Johnson, R-Duncan, as Majority Leaders to help lead the House. Each will bring a unique perspective and experience to the job. Rep. Jordan, an attorney and businessman from Tulsa, and Rep. Johnson, a small business owner from Duncan, both bring separate talents that will help steer the House agenda both within the House of Representatives and with other branches of government. Rep. Jordan expressed his eagerness to serve as Majority Leader. "I'm honored to be serving at such a critical time in Oklahoma's history,” said Jordan. “There are many important issues before us, and it will take a lot of hard work and unity for us to come up with solutions. I look forward to being a part of that process, and I am grateful for the confidence placed in me by Speaker-elect Shannon." "The House majority party is a diverse group of talented, experienced people who have lots of energy," said Johnson. "All of us will be working hard throughout the next session to push our specific bills through the legislative process. It gets pretty intense at times, so, one of the duties of the Majority Leader will be to help the Caucus stay focused. A unified Majority Caucus with common goals will be crucial to our success. I look forward to the task." To serve as the next Majority Floor Leader, Shannon chose veteran legislator Pam Peterson, R-Tulsa. A former Majority Whip and senior member of the House, Peterson's legislative experience will serve the House well as the next Majority Floor Leader. "I'm very humbled and honored to have this opportunity," said Peterson. "I am looking forward to serving with Speaker-elect Shannon in this new leadership role." To serve as the next Majority Whip, Shannon chose Rep. Todd Thomsen, R-Ada. Rep. Thomsen serves as a coordinator for the Fellowship of Christian Athletes. "This is a very humbling opportunity for me, and I am honored that our Speaker-elect would ask me to serve in this capacity," said Thomsen. "I am very thankful to be able to serve my colleagues and my constituents in this leadership role, and I will do my best to earn their trust." And finally, Shannon tapped Norman Republican Scott Martin to chair the powerful Appropriations and Budget Committee. Rep. Martin currently serves as the vice-chair of the Appropriations and Budget Committee. "Chairing the Budget Committee is probably one of the toughest jobs in the House, but I'm up to the task," said Martin. "You don't make a lot of friends when you have to tell people 'no', but taking care of our tax dollars means we have to say 'no' to a lot of spending items. “Considering all the uncertainty we are seeing with the federal budget, this could prove to be a difficult year for our budget here in Oklahoma. I'm honored to have this position, and I will work hard every day to watch over our tax dollars." Shannon said he will be announcing other leadership positions in the coming weeks, including the list of committee chairmen and vice-chairmen. "We haven't finalized every position yet, but I feel very confident we have a strong and talented group of leaders from throughout the Caucus," said Shannon. "Things feel really good right now. Our Caucus is energized and unified, and I am very optimistic about what we can accomplish this session." Oklahoma Capitol - Senate President Pro Tempore Brian Bingman, R-Sapulpa, announced Friday the members of his Leadership staff and members of the senior Senate staff for the First Session of the 54th Oklahoma Legislature. Cheryl Boothe will continue to serve as Executive Assistant to the President Pro Tempore. “Cheryl has been a trusted aide for many years,” said Bingman. “I am thankful for her enthusiasm, talent, and commitment to Oklahoma. She will be essential to our success in the coming legislative session.” Boothe is a graduate of Oklahoma State University. Previously, she worked in the private sector before serving as an aide in both the Oklahoma House of Representatives and Senate. Amy McCord will return to the Leadership staff, managing the front desk as Administrative Assistant. Amy is a graduate of the University of Central Oklahoma and majored in Biology and Forensics. “Amy is a skilled and dedicated individual with a sincere desire to serve her fellow Oklahomans,” said Bingman. In addition to her service in the Pro Tem’s office, Amy works with her sister and mother as a wedding planner in Oklahoma City. John Willbanks will remain part of the Leadership staff as Appointments Secretary for Boards and Commissions. “John is one of the most dedicated and earnest public servants I know,” said Bingman. 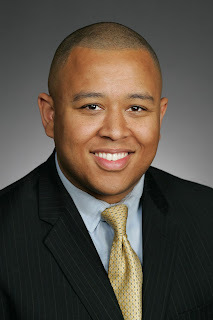 “His broad experience, even temperament, and exceptional judgment makes him the perfect fit to manage the civic appointments process.” Willbanks is a graduate of the University of Central Oklahoma and holds a Public Relations Certificate from Rice University. Before joining the Leadership staff, Willbanks worked with former Appropriations Chairman Sen. Mike Johnson. Trait Thompson returns to the Leadership staff and will serve as Senior Policy Advisor to the President Pro Tempore in the 54th Legislature. “Trait has proven himself as a bright policy mind with a thorough knowledge of the legislative process. His passion for promoting a pro-jobs, pro-growth environment in Oklahoma is admirable,” Bingman said. Thompson holds a Bachelor of Science degree from Oral Roberts University with a graduate degree from the George H.W. Bush School of Government at Texas A&M University. Before joining the Leadership office, Thompson worked on the campaign staff of Governor Mary Fallin. In addition to his public service, Thompson serves as a member of the Capitol Preservation Commission and teaches in the Political Science Department at Oklahoma State University-Oklahoma City. Thompson is also an ordained minister. He resides in the Oklahoma City area. 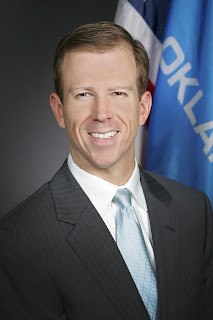 Jonathan Nichols, a former member of the Oklahoma State Senate, joins the Leadership staff as General Counsel to the President Pro Tempore for the 54th Legislature. “Senator Nichols is a dedicated public servant and skilled legal advisor,” said Bingman. “I am excited to have Jonathan’s counsel and unique skill-set as we tackle the challenges facing Oklahoma.” Nichols graduated from the University of Oklahoma College of Law and spent several years as an award-winning Assistant District Attorney before being elected to the Oklahoma state Senate. During his time in the Legislature, Senator Nichols served as Republican Caucus Chairman, Chairman of the Rules Committee, and worked intently on public safety initiatives. Nathan Atkins will again serve as Leadership Assistant to the President Pro Tempore and Communications Director. Atkins has an extensive background in government and conservative politics. “Nathan’s dedication to smaller, simpler, and smarter government serves the Senate Republican caucus well,” said Bingman. A native of Edmond, Atkins attended Edmond Santa Fe High School and the University of Southern California. Previously, Atkins managed the 2010 re-election campaign of Congressman Tom Cole. He was part of the team that worked to elect Congressman James Lankford in 2010, and has worked for U.S. Senator James Inhofe. Additionally, he is active in civic causes in the Oklahoma City community, where he currently resides. In addition to Leadership staff, Pro Tem Bingman announced senior Senate staff positions. Randy Dowell will continue serving as the Senate Chief of Staff and Fiscal Director. Dowell, a graduate of Southwestern Oklahoma State University, joined the Oklahoma state Senate staff as a Fiscal Analyst in 1999. Bingman also announced he has selected Paul Ziriax, the Secretary of the Senate and the State Election Board Secretary, for a third two-year term. The Secretary of the Senate will be formally elected by state Senators in January. By law, the Secretary of the Senate also serves as State Election Board Secretary. The Secretary of the Senate directs the Senate's floor staff, is the custodian of official Senate records, and provides parliamentary assistance to the Senate's presiding officer. The State Election Board Secretary is the chief administrative officer of the State Election Board agency and is the state's chief election official. Ziriax has served as Secretary of the Senate and State Election Board Secretary since 2009. Ziriax previously served for six years on the Senate staff as a media and policy advisor to the Co-President Pro Tempore and two Senate Minority Leaders, and was chief of staff and press secretary to former U.S. Congressman Wes Watkins.